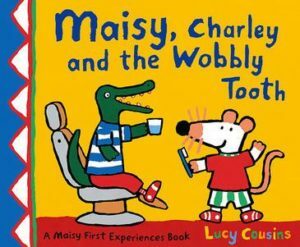 Some words of advice about preparing young children for a trip to the dentist...with books and calming words at a blog about books for children. Tell a friend that you are visiting the dentist and some may cringe…okay maybe a few more than some. Why is that? It usually dates back to a perceived traumatic childhood experience. This is why making those first few visits to the dentist an easy, and yes even enjoyable experience, is so important. The world of dentistry today is modern and caring, carried out by skilled and compassionate dentists, and there are wonderful ways of introducing our little ones into this world. In the last 17 years of practicing as a dentist I am sure of one thing – having positive, nurturing regular visits to the dentist from a young age is crucial. Teeth appear at roughly six months and while brushing should begin then, a child’s fist dental visit really isn’t viable untilabout three years of age. Even then sometimes we can only expect a ride in the chair (spaceship or fairy cloud) and maybe a quick count of the teeth. I have been priming my beautiful niece, who you all know as PudStar, to be the perfect dental patient with kindy visits, brushing games and Play Doh dentist heads since her first teeth. Her first visit at age three was perfect. Her second visit at age four went not as smoothly as I had hoped. This has made me focus on how we can make children’s visits as enjoyable as possible. 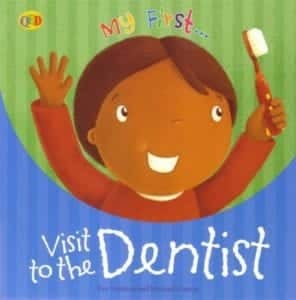 Read some of the great range of books available about first dental visits (see below for some of our favourites). These books talk about what a dentist does, what their waiting room and dental chair might look like, and some of the things that happen, like the dentist using tools and counting their teeth. Even looking at some of the pictures will help familiarise your little ones with what to expect.